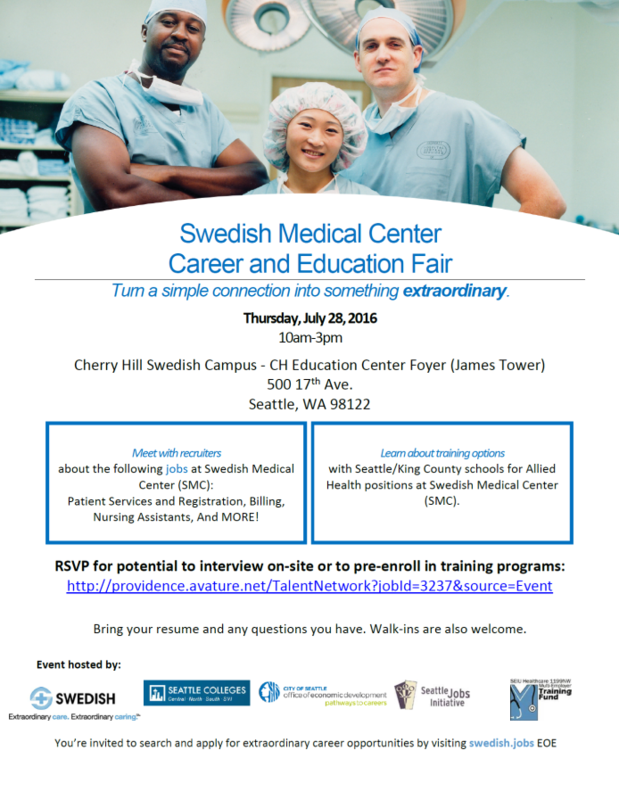 Learn about opportunities at the Swedish Medical Center Career and Education Fair on Thursday, July 28th!!! Students can also learn about positions, have someone look over their resume and give tips regarding the application process, and talk to recruiters! Light refreshments will be provided!